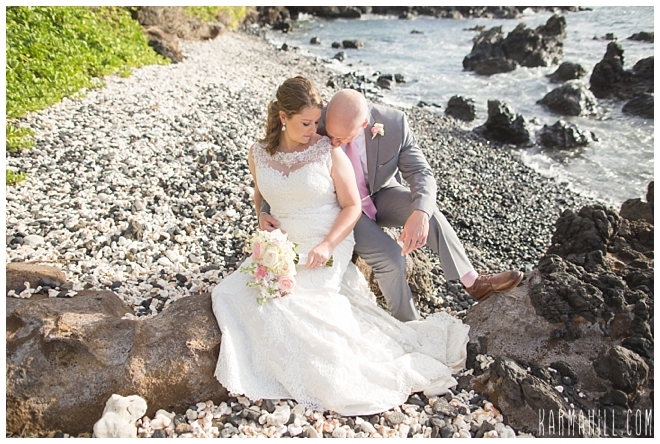 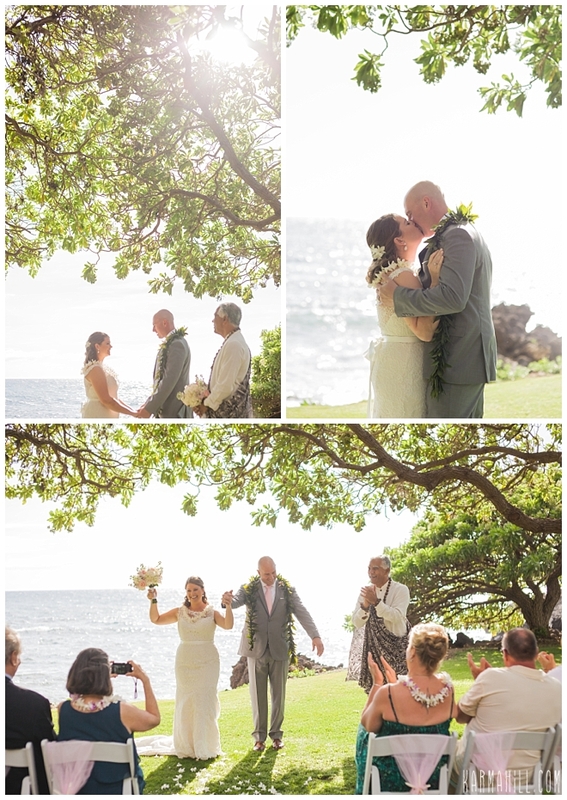 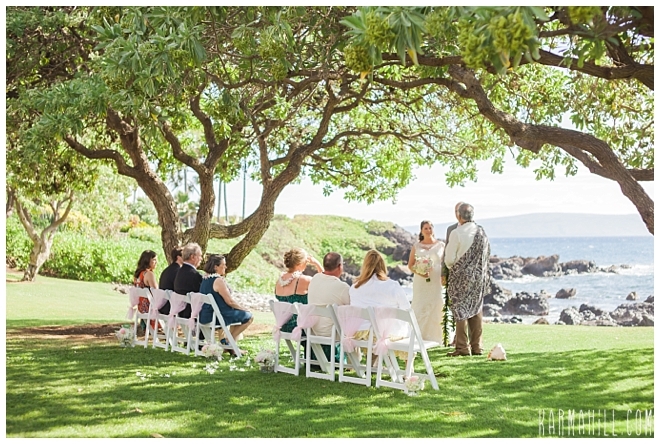 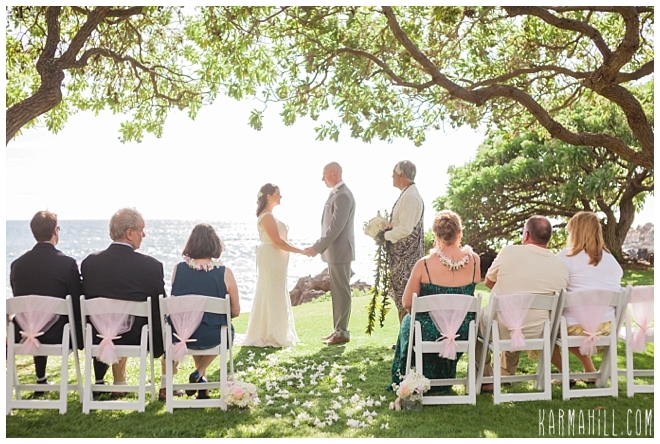 Halley & Christopher's Maui Venue Wedding! 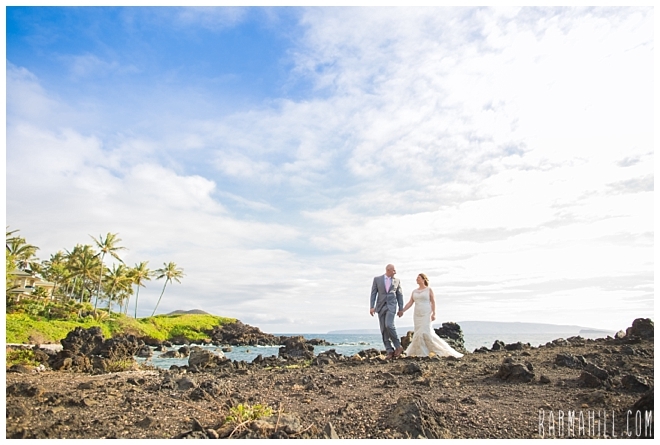 Halley & Christopher were married on Maui last week and we were honored to be a part of this spectacular Maui venue wedding! 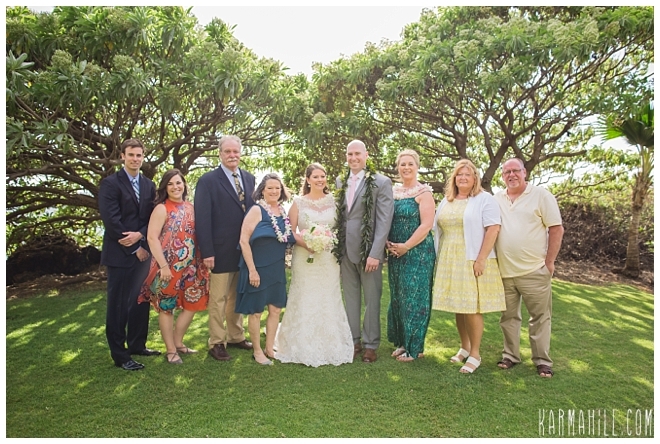 It was a smaller crowd, just their closest family members but they really made the afternoon something special. 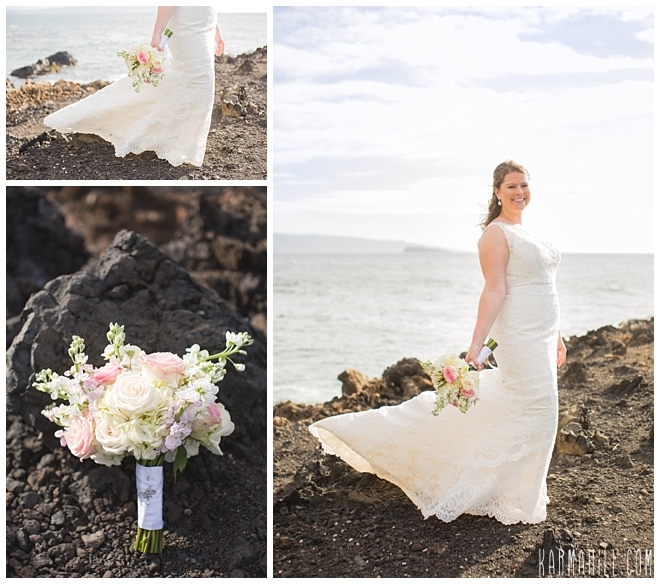 Halley prepared for her big day in the bridal suite at the Kukahiko Estate. 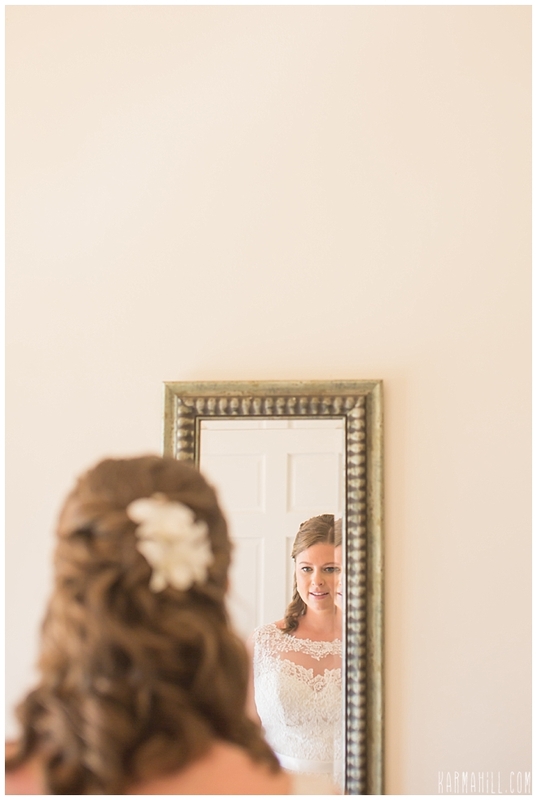 Staff photographer Ajja met the bride and her favorite ladies there as they put on their final touches to their makeup and slipped into their dresses. 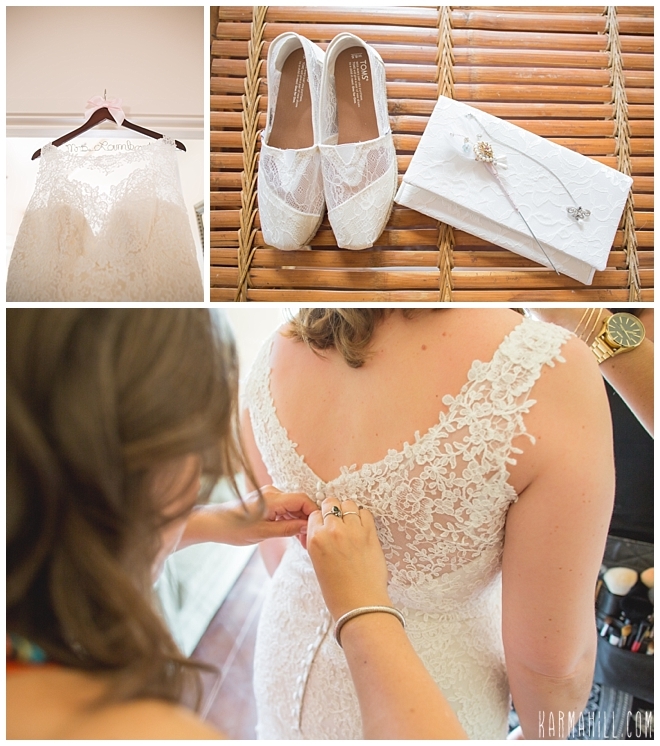 Just outside our coordinator Emily was putting the final touches to the decorations. 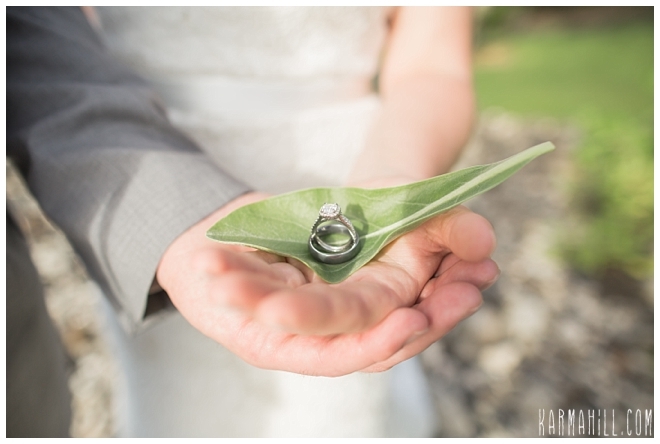 It was a simple but very elegant set up. 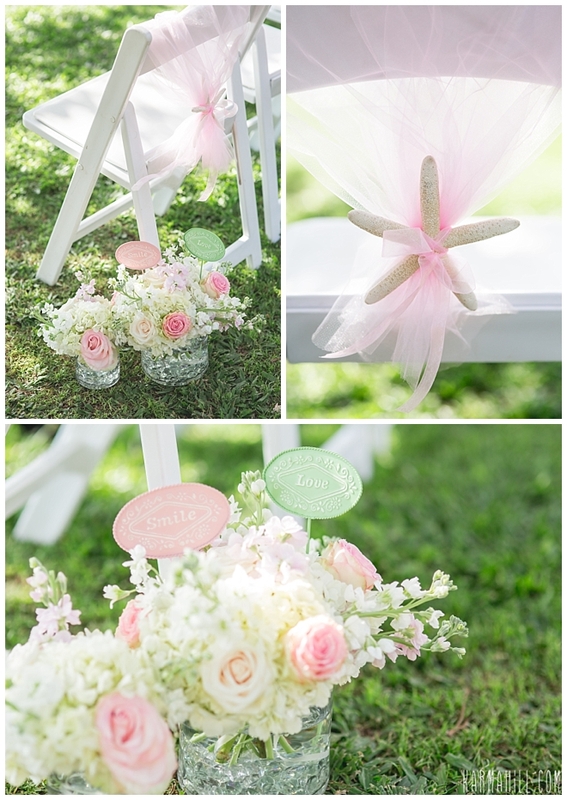 Just a few chairs adorned in ribbon and starfish accompanied by beautiful floral pieces by Dellables. 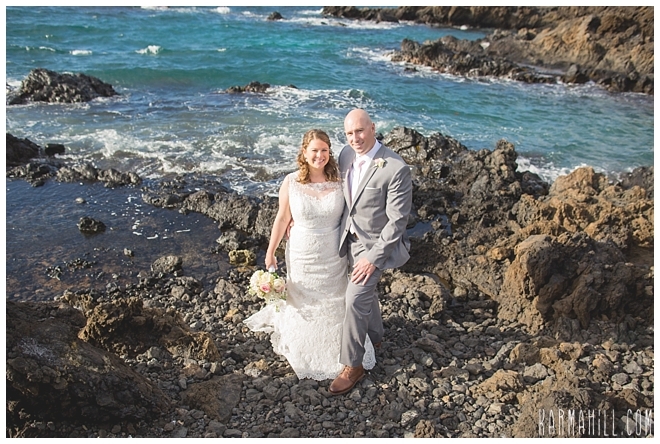 It created a beautiful setting for this sweet couple to be wed! 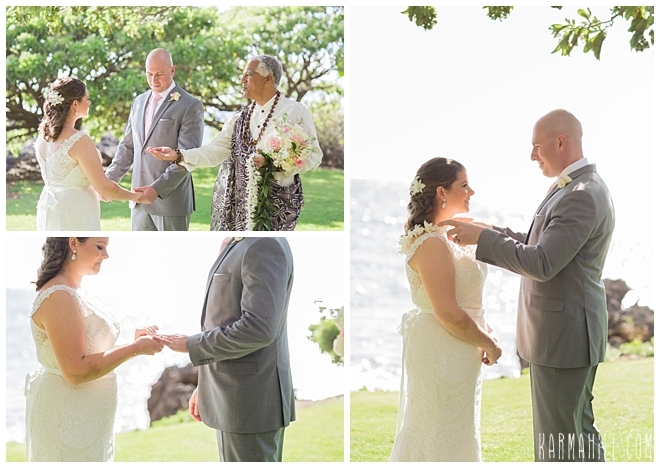 Their ceremony was officiated by Reverend Joe Miles who offers custom beautiful ceremonies. 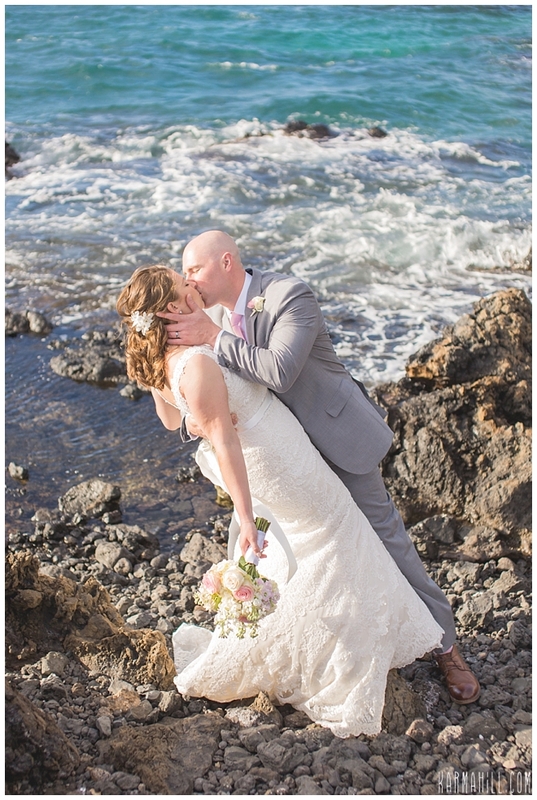 Afterwards, Ajja took Halley & Christopher onto the jetty where they took gorgeous romantic couples portraits. 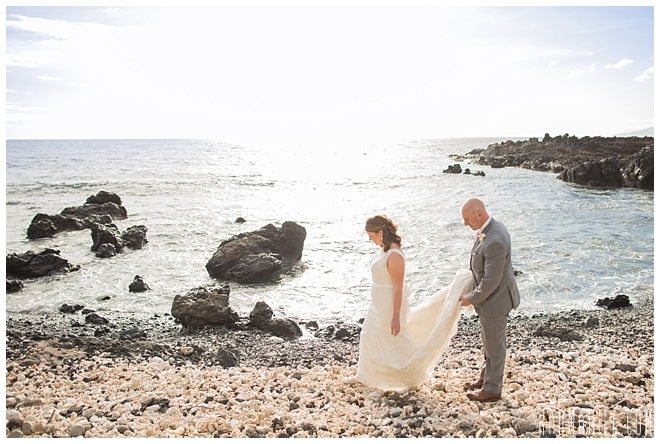 As the sun went down and we said our goodbyes we were all left with a feeling of love and joy. 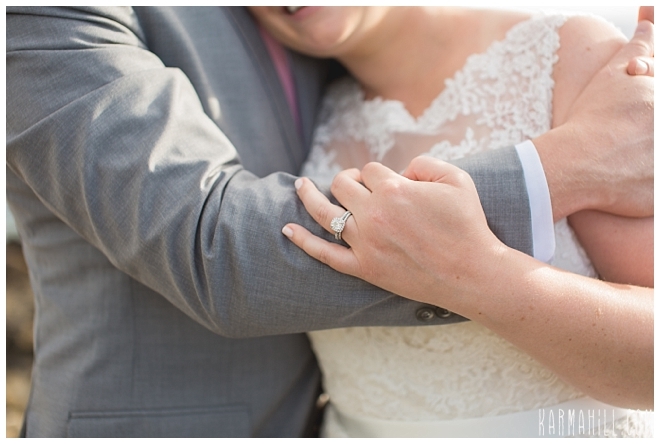 It's such a pleasure working with amazing couples on a daily basis! 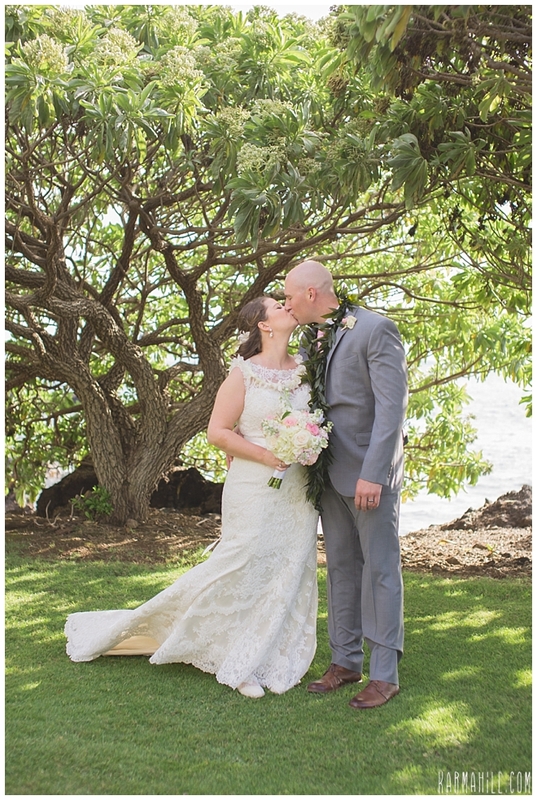 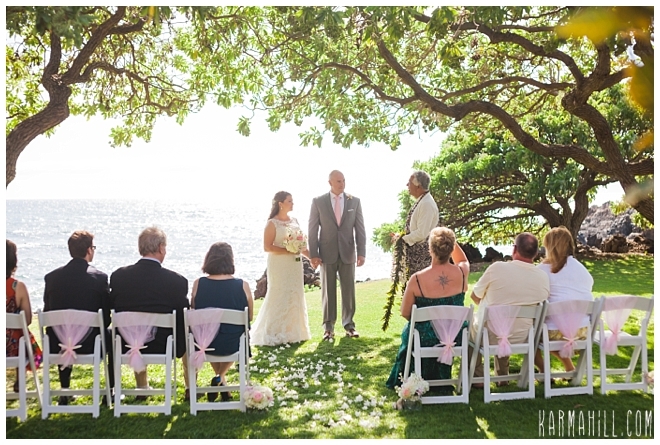 We truly appreciate you choosing us for your Maui venue wedding, Halley & Christopher! 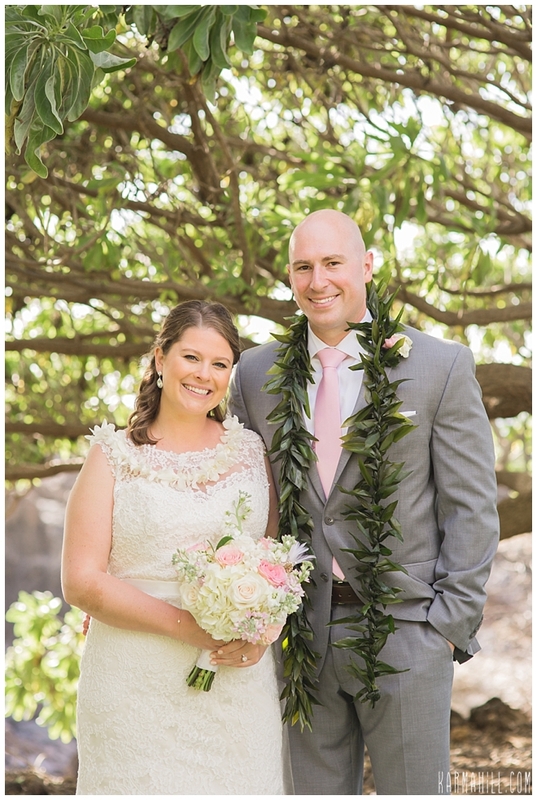 We hope your 'happily ever after' includes an Anniversary portrait in Maui so we can see you again soon!!! 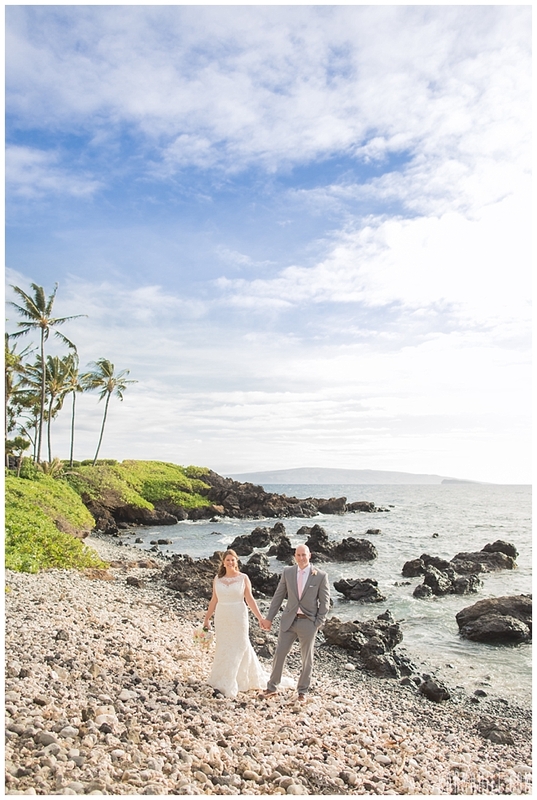 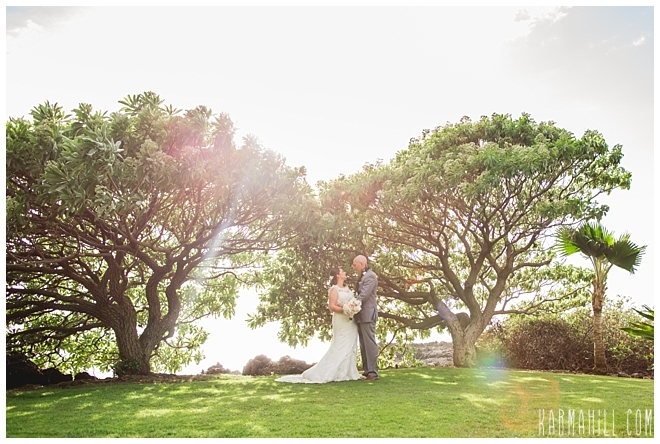 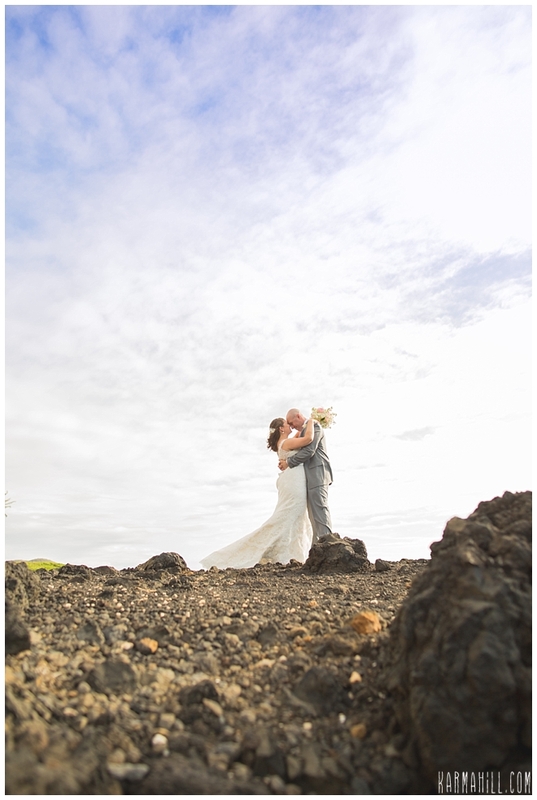 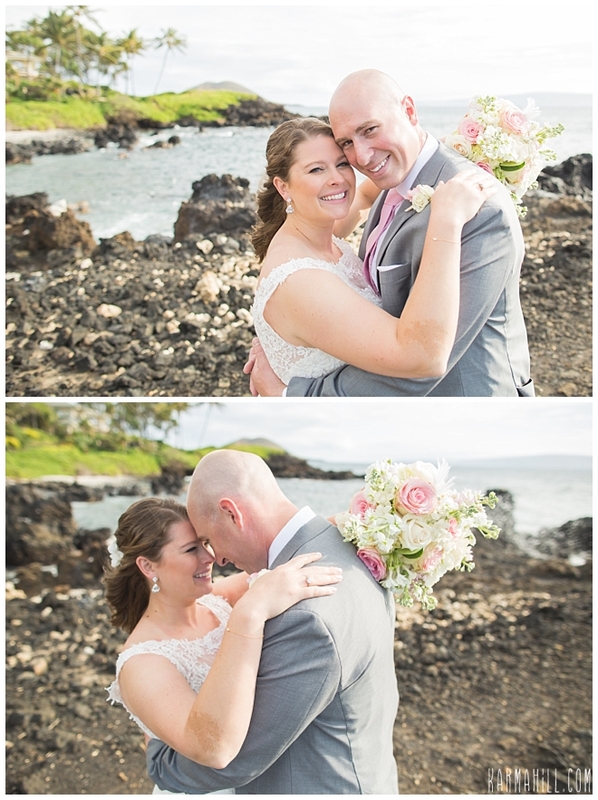 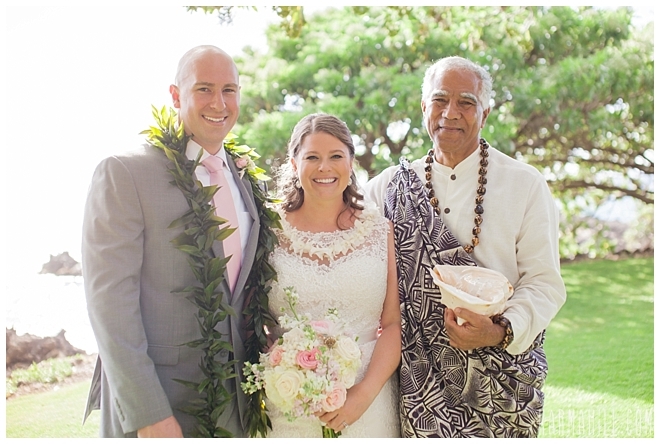 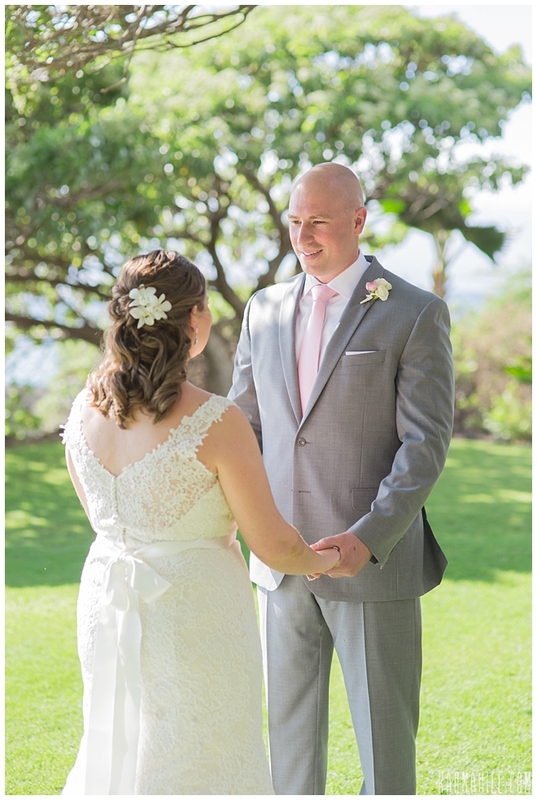 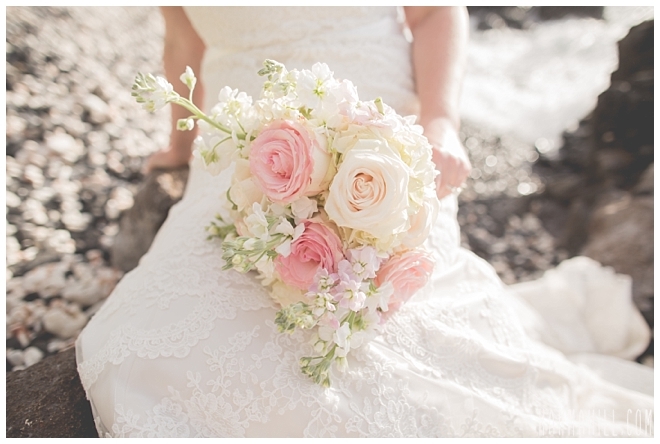 Check out our last Maui venue wedding with Rosie & Matthew!